The Abstrakce.PL exhibition prepared by the Museum of Art in Olomouc as part of its presentations of Central European art offers a panorama of Polish abstract art from 1945 to our time. It opens with works by Władysław Strzemiński, an icon of the Polish avant-garde, and closes with the 2017 works of Piotr Lutyński, painter, sculptor, author of installations and objects, graphic artist, and musician inspiring new life into the long tradition of the movement. 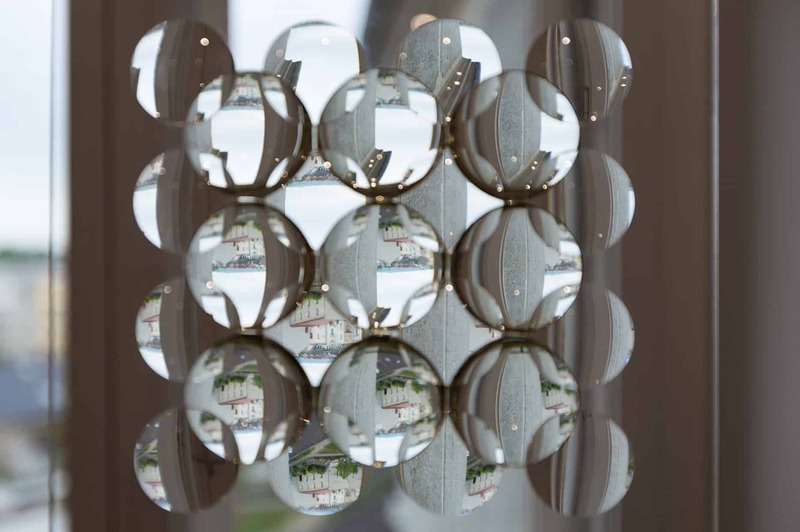 It is a capacious exhibition of excellent pedigree: at its core are exhibits loaned from the private collections of Renata and Grzegorz Król from Warsaw and Grażyna and Jacek Łozowski from Wrocław. The exhibition is given additional esteem by the inclusion of works from the collections of the National Museum in Warsaw, the Museum of Art in Łódź, and Zachęta National Gallery of Art. Abstrakce.PL, Muzeum moderního umění Olomouc, photo: Zdeněk Sodoma. Thanks to such exceptional people and institutions opening their collections, you will have an opportunity to see works by 62 artists representing various movements and trends in Polish abstract painting. 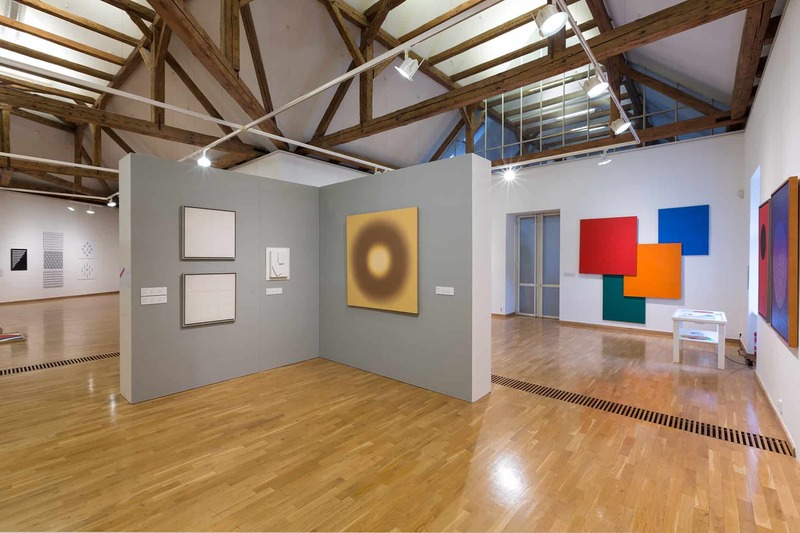 It is the first exhibition in the Czech Republic to be so complex, which is why it aims primarily at the portrayal of the variety of trends, the richness of personalities and individual artistic attitudes and transformations, in a word, the entire charm of Polish post-war abstract painting. The exhibition emphasises two main currents of abstract art: emotional and geometrical. Therefore, you can find here works that belong to Tachism, Art Informel, matter painting, as well as structural paintings, and the ones that continue the geometric-constructivism trend defined by the first avant-garde. The currents that were born from abstract art, such as conceptualism and concrete poetry, are also signalled. The individual trends can be followed in their chronological order. The works of Władysław Strzemiński, Maria Jarema, Jonasz Stern, Kazimierz Mikulski, and Marian Bogusz among others illustrate the artistic quests of the avant-garde of the 1940s. A strong accent is also placed on the Renaissance of abstract painting in the latter half of the 1950s in its Tachiste and Art Informel version in the paintings of Tadeusz Kantor, Alfred Lenica, Jerzy Kujawski, and Teresa Tyszkiewicz. A strong representation of painting elicited from the spirit of surrealism comes in the works of Tadeusz Brzozowski, Erna Rosenstein, and Jerzy Skarżyński, while matter painting and structuralism are present in the works of Jonasz Stern, Teresa Rudowicz, Aleksandr Kobzdej, Bronisław Kierzkowski, Alfons Mazurkiewicz, and Jacek Sempoliński. The presence of works of the doyen of geometric abstract, Henryk Stażewski, is clearly manifested, beginning with reliefs from the 1950s and proceeding to works from the 1980s. The exhibition also includes the drawings of the most exquisite Polish artist and theoretician of the abstract art, Władysław Strzemiński, and drawings of Wacław Szpakowski. Classics of geometrical painting from the 1960s and 1970s, including Stefan Gierowski, Stanisław Janikowski, Wojciech Fangor, Kajetan Sosnowski, and Ryszard Winiarski are well represented. The geometrical current also encompasses works by Jan Berdyszak, Adam Marczyński, and Jan Ziemski that experiment with the space of the painting. The works of artists who elude obvious classifications – Jerzy Nowosielski, Stanisław Fijałkowski and Jan Lebenstein – are in no short supply either. The works of Jan Pamuła, the first artist in Poland to use computer software, date back to the 1980s and 1990s, like the works of Jerzy Kałucki following the traditions of constructivism, and connected to the Kraków circles. The paintings of Józef Hałas and Leon Tarasewicz are an example of an entirely different type of geometric painting from that time, based on synthesising nature and drawing from the richness of texture and colour. The generation of artists continuing geometrical abstract painting is represented by Koji Kamoji, Tadeusz Gustaw Wiktor, Andrzej Gieraga, Tamara Berdowska, Michał Misiak, and also – albeit in an absolutely different spirit – the artists of Gruppa, Marek Sobczyk and Włodzimierz Pawlak, involved in a dialogue with the tradition of the avant-garde. As much as it is separate, the current of conceptual art hailing from the abstract can be admired in the works of Roman Opałka, Edward Krasiński and Jerzy Rosołowicz, while concrete poetry is present in the texts of Stanisław Dróżdż. The guiding principle of the exhibition is to present the artists who have moulded the identity of the Polish abstract art, are considered precursors and classics of Polish contemporary art, and also artists who remain active to this day. Eminent minds have always eluded classification, their art operates on the fringe of movements and trends absorbing what is significant and useful for the individual style, language, and content, which is why the divisions are fairly conventional. Some artists rally to the banners of different movements, eluding the theoreticians eager to order and classify the phenomena. We show works that investigate the limits of abstract art: the compositions of Jan Lebenstein balancing on the border of the abstract and the figurative, Włodzimierz Pawlak’s painting – graphic signs, the works of Piotr Potworowski, Józef Hałas, and Leon Tarasewicz that have grown from the synthesis of landscape, the works of Roman Opałka and Edward Krasiński that document the process of moving away from pictoralism for the sake of conceptual activity; the concrete poetry of Stanisław Dróżdż. Present in the exhibition also are the artists practising figurative and abstract art in parallel, for instance Marek Sobczyk, Włodzimierz Pawlak, Romuald Oramus, and Jerzy Nowosielski – the crown proof of such an artistic stance. The publication accompanying the exhibition contains texts written by authors focusing on selected phenomena. Abstrahentium non est mendacium, the essay by Krystyna Czerni, concerns the very essence of the phenomenon known as abstract painting and the watersheds in its post-war Polish history. The text by Bożena Kowalska on two currents of Polish abstract art is a review of the most important works of artists and the trends the works in the collections of Renata and Grzegorz Król, and Grażyna and Jacek Łozowski belong to. Andrzej Nakov’s article Exorcising the Tragedy focuses on the historical pedigree, inspirations, and specificity of Polish abstract art. The publication is complemented with artist bios, a timeline, a detailed catalogue of published works, and the illustrative part that contains all the works presented in the exhibition. For the facility of the reader, each of the chapters in the illustrative section is preceded with a brief introduction that provides a guided tour to the narrative of the exhibition that, although designed especially for the eye, holds the stories of people and time under the guise of colour, texture, and matter. The texts preceding individual chapters let the artists speak: their statements are quoted together with comments contemporary to them. The development and character of Polish abstract painting is intertwined into the revolutions of the wheel of history to prove what I believe to be primarily its great independence, creative force, and artistic talent. The organisers intended to develop a thorough and at the same time unorthodox picture of the Polish post-war abstract painting, leaving an option for individual interpretation. The artists who have moved within this realm differ greatly, should I however want to find a common theme for their efforts, it would in be the words of Maria Jarema extended to us from a difficult past, yet remaining unvaryingly valid: “Art is born from freedom of thinking”.